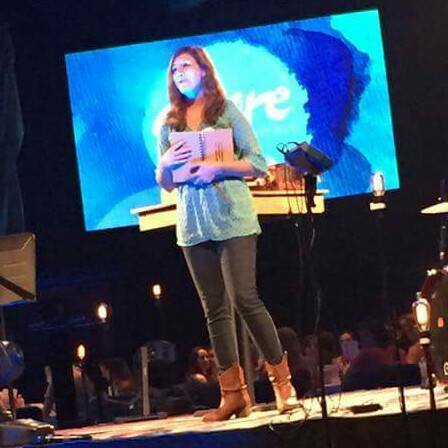 Whether it is a short devotional time, Christian workshop, Bible study group, leadership training event, mother's group, worship event, paint party, or women's conference, Casey loves to share what God has pressed on her heart with mothers or women of all ages in your church and community! E-mail Casey at herchildrenarise@gmail.com for any questions about booking her at your next event! What steps do we need to take to grow closer to our Father and Creator? "The Lord upholds all those who fall and lift up all who are bowed down" (Psalm 145:14). Lift. Fall. Lift. Repeat. LIFT our hands to worship God as we create and serve; FALL to our knees in intimacy with the Holy Spirit; LIFT our feet to fall in-step with Jesus Christ. Perfect for a women's conference or retreat, this 4-session series explores our journey through sanctification as we grow in our relationship with God. God is the Master Artist and has created us in His image to do the work that He has set in motion since the beginning of time. He invites us to join Him in serving His kingdom! Explore how God uses His hands to establish the work of our hands. Examine how you are using your hands to worship, create and serve as a way to glorify God. This is a 2-hour painting event, perfect for a large group of women. Psalm 84 teaches us how God carries us from "strength to strength." We, as pilgrims, experience a journey that has many ups and downs. We often find ourselves in the valleys, struggling to make it through. However, if we tether ourselves to God before we enter the valleys, we will see the pools of His blessings throughout. The New Testament opens up with Jesus' family tree. Every person on that list plays a part in God's story, and so do you! The five women listed in Jesus' genealogy all have two things in common: motherhood and obedience. These women were not perfect - far from it - but their obedience to God planted the seeds of God's Truth for their descendants from generation to generation! We can glean from each of these women what it takes to run a Christian household. "how to have an amazing summer"
If your mommy group is about to break for the summer, it's time to get pumped up for an amazing break with all of the kids home from school! Lazy pajama days are what summer is made of, until the first few notes of the songs "BORED" and "HUNGRY" are set on repeat to the tune of BINGO. Colossians 3 lays out the "Rules for Holy Living" and "Rules for Christian Households" which we can apply to our summer heart prep. "Each of you should use whatever gift you have received to serve others, as faithful stewards of God's grace in its various forms.... If anyone serves, they should do so with the strength God provides, so that in all things God may be praised through Jesus Christ." (1 Peter 4:10-11). This interactive session is designed for middle and high school students, encouraging them to use the gifts and passions that God has planted in their hearts to change the world. "Do you believe there is eternal significance in performing mundane tasks and service?" This was the question on a spiritual gifts test that left me feeling convicted. How often do I consider my daily chores to have an eternal significance? Let's take a minute together to refocus our minds in order to take pleasure in the roles for which God has created us, no matter how mundane they may be! Is there something in your life that is holding you back from living a life abundantly in Christ? Fear, anxiety, hopelessness, mistrust, resentment, grief - the weight of all of these alone can be crushing, imprisoning and debilitating. 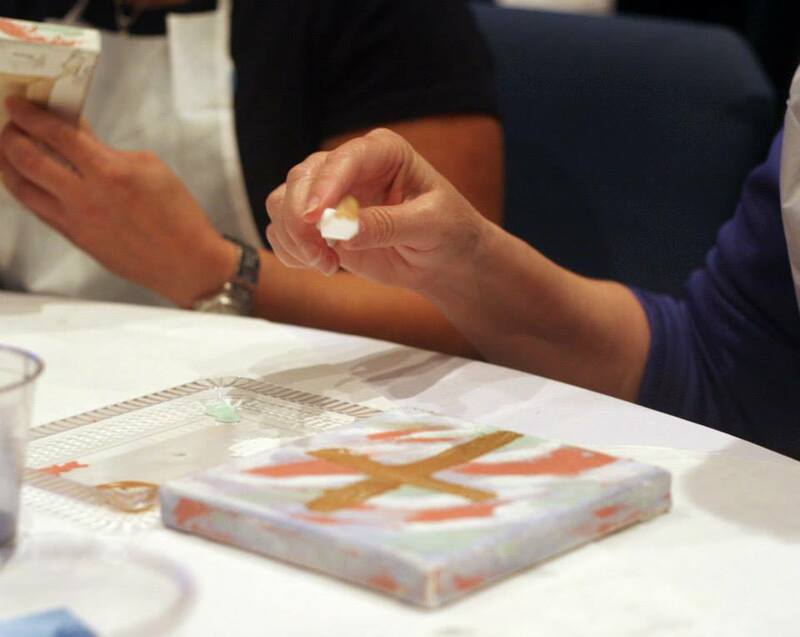 This is a hands-on event that incorporates crafts and activities and exercises, rooted in prayer, to help us release our souls that are being trapped by these burdens. Do your leaders and facilitators complain about the difficulty of keeping a group of chatty women focused and on topic? Discussions about running a Christian household always tend to move in the direction of dirty diapers and the never-ending laundry pile. If your large group breaks into smaller groups, it is important for each of your small group leaders to have training in leading and facilitating discussions within their breakout groups in order to make best use of their meeting time and to grow spiritually through mature and focused conversations. * I love to use art as a way to worship our Father and I love to share that passion with women! You do not have to have any previous painting experience to participate in one of my painting events - they are as relaxing and stress free as they come!